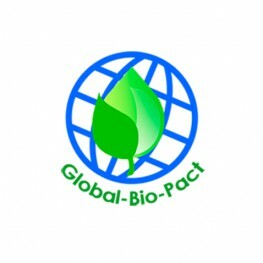 The main aim of the Global-Bio-Pact project (Global-Bio-Pact Global Assessment of Biomass and Bioproduct Impacts on Socio-economics and Sustainability) was the development and harmonisation of global sustainability certification systems for biomass production, conversion systems and trade in order to prevent negative socio-economic impacts. Emphasis was placed on a detailed assessment of the socio-economic impacts of raw material production and a variety of biomass conversion chains. The impact of biomass production on global and local food security and the links between environmental and socio-economic impacts was analysed. Furthermore, the Global-Bio-Pact project investigated the impact of biomass production on food security and the interrelationship of global sustainability certification systems with the international trade of biomass and bioproducts as well as with the public perception of biomass production for industrial uses. Finally, Global-Bio-Pact developed a set of socio-economic sustainability criteria and indicators for inclusion into a future effective certification scheme, and the project elaborated recommendations on how to best integrate socio-economic sustainability criteria in European legislation and policies on biomass and bioproducts. The project was concluded on 31 January 2013.